Born in Switzerland and orphaned at two, Philippe James VAUCHER was a romantic who embraced a life of travel, hard work and adventure with panache. 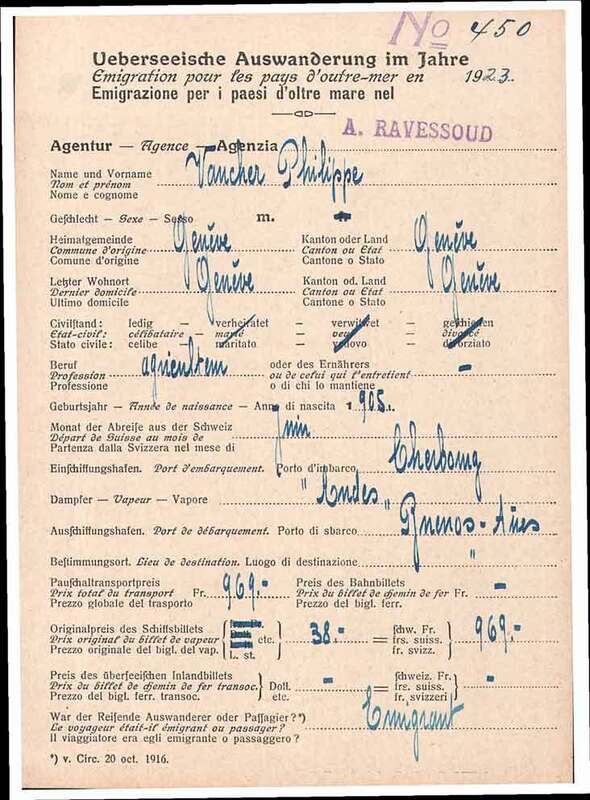 At 18, he went to Argentina ( Swiss Emigration Record ). Initially worked on a Matte plantation run by a Swiss near Posadas in the north of Argentina. Went there by paddle-steamer up the Parana. Seeing no future there, he returned to Buenos Aires and eventually found work as a clerk in the Banco Frances del Rio de la Plata. Returned to Europe working as a stoker on French ship. 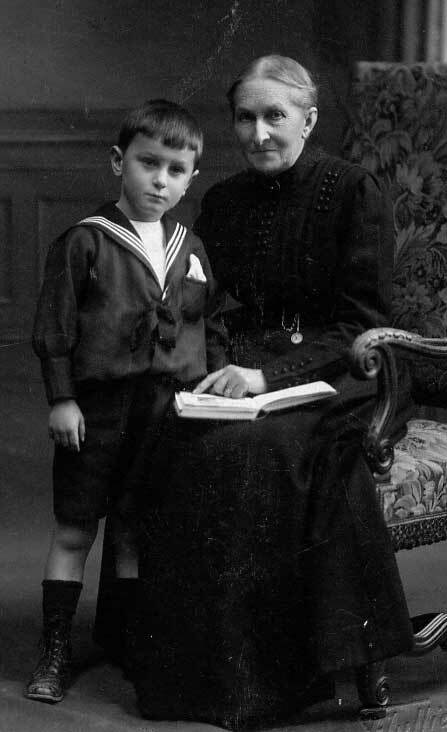 Three years later, at the urging of his canadian relatives - mainly Flossie's Aunt Carrie (née Gerrie) and her daughter Violet, he came to Canada. He missed his first boat because he forgot to get a visa and arrived on May 2nd 1926, on the Minnedosa, a few days short of his 21st birthday. Headed to Victoria, he met relatives in Montreal, Toronto and Port Arthur. In Montreal, he was taken to the newly opened Eaton's dining room.. In BC, he tried his hand at several ventures including a stint in construction cut short by the CRASH, running a tea room on the Alaska Highway and cutting trees for a gold mine. He was naturalized canadian on march 23 1933. In 1934, he joined the RCMP and found a life that suited his temperament. He first served in Vancouver, then Montréal, Rimouski (where he met his wife) and Québec City. After the war, he was sent to Paris for 7 years, first at the Canadian Embassy - where he served under General Vanier -then at immigration. Shortly after returning to Canada, he was sent around the world twice to arrange security during the world tour of Prime Minister St. Laurent. He served in Ottawa and then Lethbridge before retiring to Victoria in 1964. In Victoria, he was an active member then President of theAlliance Française. He also taught French and painted regularly with a group of close friends. True to his Geneva roots, every December he celebrated the Escalade. A charmer and a fighter to the end. VAUCHER, Philippe James, Inspector RCMP (retired) - passed away on january 15, 1998 at GlenWarren, Central Park Lodge in Victoria at the age of 92. Predeceased by his wife Antoinette in 1995, he will be missed by his step-sister Madeleine Doret of Geneva; his son Jean (Claudia) of Montréal and his grandsons Philippe and Stéphane. Memorial services were held at the St Andrew's Prebyterian Church, on Douglas Street on Tuesday, January 21st at 2:00 p.m. About 50 people attended.